. . . ALICIA OLATUJA . . . While the 2013 Presidential Inauguration ceremonies may have featured many “A-list” talents, it’s the voice of a classically trained mezzo-soprano who has drawn the most critical acclaim. On the edition of The View that aired the day after the inauguration, co-host Elizabeth Hasselbeck raved about Alicia Olatuja’s “breathtaking” voice...even though she admitted she didn’t know the singer’s name. However, it won’t be long before her name has much more of a familiar ring to it. In 2011, Alicia performed as Sophie in the world premier of the dramatic work by Tony-nominated composer Elizabeth Swados, "From the Fire," both in New York and when the play was presented at the Fringe Festival in Edinburgh Scotland where it won awards for best score, best musical production, and most promising musical. Although musical theater and opera are two of Alicia’s passions, she also performs in a variety of other genres and has been creating quite a buzz in the jazz arena, receiving great praise from jazz giants such as Dianne Reeves and Monty Alexander. 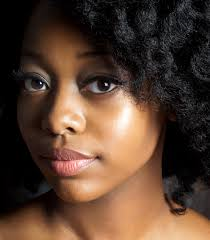 She often performs as a soloist with the Juilliard Jazz ensemble, and has sung with various recording artists such as Christian McBride, Chaka Khan and Bebe Winans. Alicia also regularly performs in various venues nationally and internationally with her husband in their African Jazz band, the Olatuja Project, where Alicia sings in various African dialects such as Yoruba and Shona. They recently released their debut album, “The Promise”.